Inquiring minds want to know why we too should befriend Joseph! Want to friend Joseph? You need to log in or join our community, first! It's fast, free and easy. 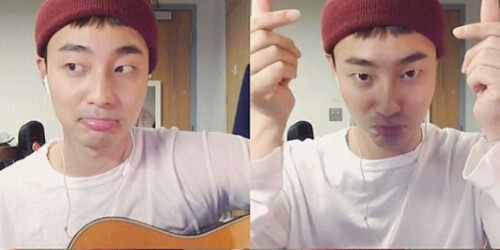 While I use Roy Kim's face and soft boi aesthetic to portray Joey, I do NOT condone any of Roy Kim's actions. This RPR is outdated AF, so pardon the mess while I clean things up! Hello, Listeners, and welcome to the Pizza Fever Dreams podcast, where your dreams are the stories we tell. I’m your host, Joseph Park. Pizza Fever Dreams is made possible by listeners like you, so if you have any story-worthy dreams to share, please send them to [REDACTED]. Before we start the first episode, I'll share a little bit about myself, and give some context as to what inspired this pipe dream of a podcast. He can't pick a favorite genre of music. He's a part-time pizza delivery boy at some local chain restaurant. His personal blog is titled "Pepperoni Salami", inspired by a username he's had since he was ten. Meet Joey, my lovely sweet bean who just wants to make the world a better place. I hope to develop him further through roleplay! Classmate/bff. Joey's a Small Town Boi who knew absolutely nobody when entering NCU, so he could really use a pal. Date. I'm not currently looking for longterm romance, though that can easily change! Joey has been questioning his sexuality a lot lately; well, a recent encounter with a handsome couch-surfer pretty much confirmed it: Joey's into dudes. Like, really into dudes, and he can't deny it for much longer. So why not meet this pizza boy at a bar or club and go from there? Lil' sister. Joey has a younger half-sister who he holds near and dear to him, and is also a university freshman. Want a big brother? Joey is the best big brother. "Honestly it doesn't help that Joey is played by Liz and I love her to death, but I like to think that I wouldn't need to be biased to fall in love with the greatest pizza boy to ever deliver (incredible posts, that is). He's outgoing in a way that's not obnoxious while still holding onto that adorable shyness that doesn't leave you cringing and unable to find a way to connect. He's a good boy, a well thought out character and a jam to play with."